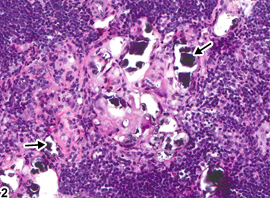 Thymus - Mineralization in a male B6C3F1/N mouse from a chronic study. Multiple mineralized foci (arrows) are present within the thymic medulla. 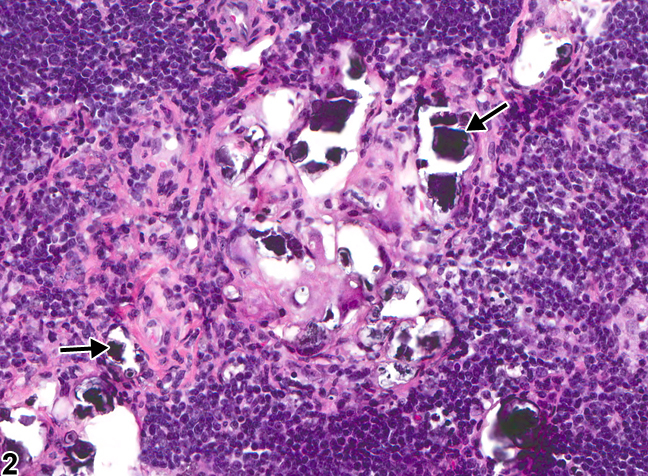 Thymus - Mineralization in a male B6C3F1/N mouse from a chronic study (higher magnification of Figure 1). 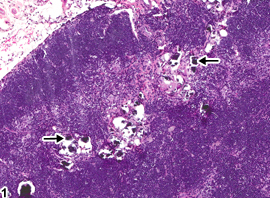 Mineralized foci are characterized by variably sized, densely basophilic, amorphous material (arrows).